In the 1880s a young doctor wrote stories to pass the time while waiting for new patients. His stories were about a man who was very good at solving crimes. They were so popular that the doctor decided to give up medicine and become a writer. The doctor was Arthur Conan Doyle and his creation was Sherlock Holmes. Sherlock and his famous friend Doctor Watson lived at 221b Baker Street. Their landlady was Mrs Hudson. 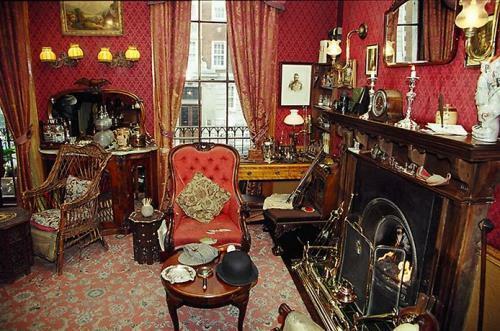 221b Baker Street is the world’s most famous address and people have been writing to it for more than 100 years. Most letters were from the United States and people asked Mr Holmes to help them with some problem, such as finding a missing relative (or a pet). But the museum was opened only in 1990 there. Sherlock Holmes Museum is unique. 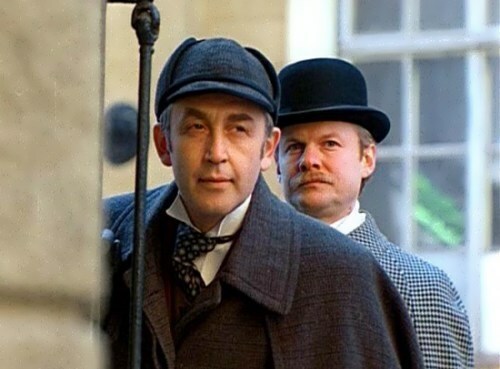 There are no horrors, no mummies or hidden corpses, no wax figures… But you have a feeling as if the great detective had just left the room for a moment with Dr Watson, and Mrs Hudson is somewhere in the backrooms. 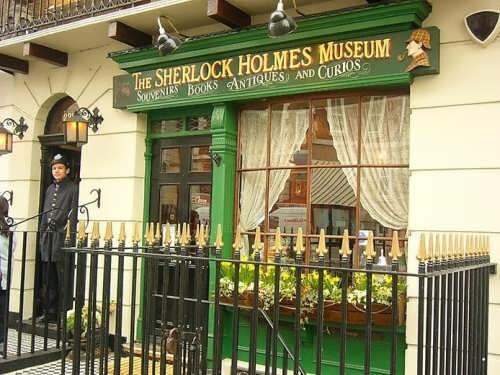 The museum is filled with Holmes’ things – his violin, deerstalker and pipe, the Persian slipper in which he kept his tobacco, unanswered letters pinned to the wall with a knife, his magnifying glass… Dr Watson’s diary contains hand-written notes and extracts from The Hound of the Baskervilles. 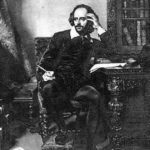 The Sherlock Holmes Adventures have been filmed for cinema, serialised for television, dramatised for stage and radio and published in at least 40 languages. According to the Guinness Book of World Records, Holmes is the most portrayed character on the screen. More than 76 actors played the famous detective in more than 211 films. 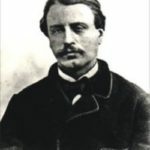 Vasili Livanov is considered to be one of the best. Holmes never said “Elementary, my dear Watson!” He said “Elementary” and “My dear Watson”-many times, but he never combined these phrases. Holmes has become an inspiration for police and private detectives and his methods of deduction are still in use and much respected. 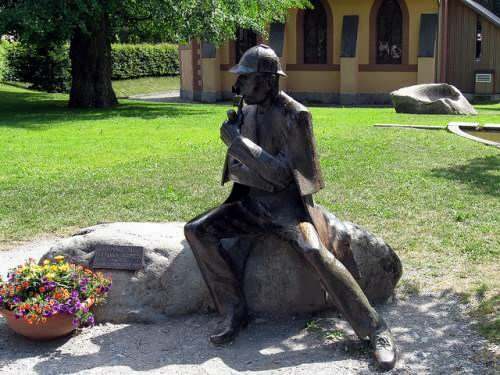 There is a monument to Sherlock Holmes in London. It was created by John Doubleday. Did you know that Sherlock Holmes had a prototype? One evening, about the turn of the last century, several guests sat around a dinner table discussing famous murders and unsolved crimes. One of the guests, Dr Joseph Bell, a famous Edinburgh surgeon and university professor, surprised the others with his unusual deductive abilities. “My dear sir, I am Sherlock Holmes,” Dr Bell said. Dr Bell was not joking. 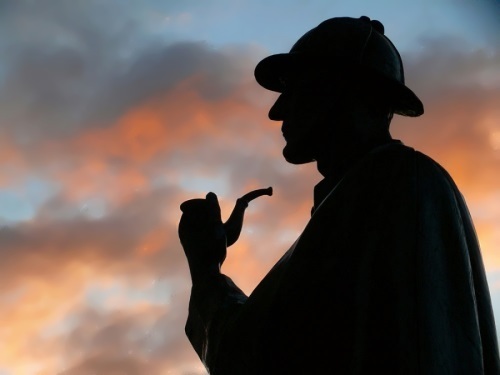 He was, indeed, the original Sherlock Holmes, the prototype for the famous Conan Doyle’s creation. 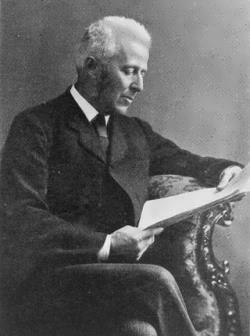 Joseph Bell was Arthur Conan Doyle’s professor at the University of Edinburgh. Dr Bell could diagnose a patient’s disease just by observing him. 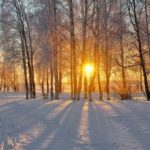 “He would sit in his receiving room, with a face like a red Indian, and diagnose people as they came in, before they even opened their mouths. He would tell them their symptoms, and even give them details of their past life, and hardly ever would he make a mistake,” wrote A. Conan Doyle. It was exactly this kind of eagle-eyed observation that enabled Holmes to solve some of his most baffling crimes. The students admired Dr Bell and thought him a magician. He never failed to surprise them. Dr Bell dipped his finger into the liquid, put his finger to his mouth, and made a grimace. Then he passed the glass around. Each student dipped his finger into the medicine, sucked it, and, of course, made a grimace because the liquid was very bitter. Dr Bell’s detecting genius was known to the police. As an amateur detective, without official status, Dr Bell worked hand in hand with Sir Henry Littlejohn, Edinburgh police surgeon, and helped to solve several complicated crimes. He called him Sherlock Holmes. Dr Bell liked A. Conan Doyle’s detective stories that popularized his ideas. “Doyle shows how easy it is, if only you can observe, to find out a lot more about your friends, to baffle a criminal and lay bare the manner of his crime.” In Bell’s opinion, every man can change the world of boredom into the world of excitement and adventure by developing the power of observation. 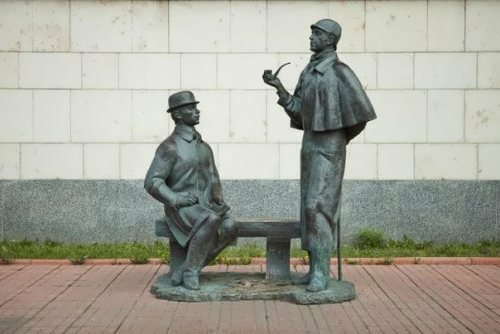 Like Sherlock Holmes, we will be able to detect from a man’s hat that his wife does not love him, from a man’s cane that he is afraid of being murdered, from a man’s pipe that he is left-handed and careless. Conan Doyle believed in fairies?! 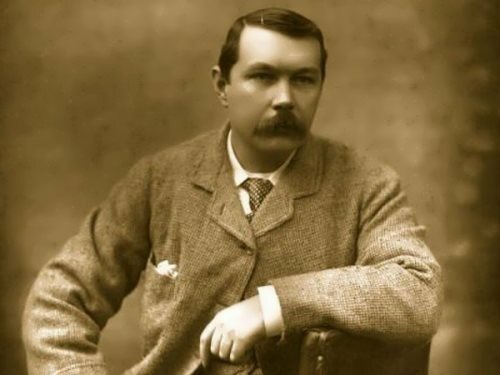 Sir Arthur Conan Doyle spent a lot of time doing research on spiritualism and the supernatural. 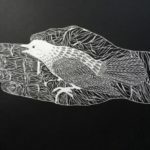 Doyle also believed in fairies, and he wrote an entire book arguing that they exist! In 1917, two girls from the Yorkshire village of Cottingley in England made photographs of themselves with fairies. Few people took the pictures seriously, but Doyle did, and he wrote a book about the girls, hoping he could convince others that the photos were real. Doyle died in 1930, still believing fairies existed. In 1933, the girls confessed that the pictures were fakes. 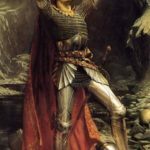 Sources: Encyclopaedia Brilannica, Encyclopaedia of Mystery and Detection, F. Edwards Myth or Fiction?